You’ve been asking, and now we have an answer! The 4th Places You Have Never Herped event will be in sunny Florida! Specifically, the event will take place on the Aucilla River at the Florida/Georgia state line in northeast Jefferson County, Florida! The survey area is approximately 9,000 acres of private property, recently acquired and owned by the Tall Timbers Research Station. This area is mostly intact transitional clayhill/sandhill ecosystems dotted with lovely wetlands of every variety and a large portion of Aucilla River floodplain – which will make for some excellent herping! We are still in the process of finalizing the plans; however, we are tentatively scheduling the event for April 26th and 27th, 2014. The Tall Timber Research Station has graciously offered to host us for this event and we are going to cap the number of participants to 40 people. The slots will fill up fast, so watch for the signup announcement via our newsletter, Facebook, and Twitter accounts! New to Places You Have Never Herped? The Orianne Society has long been interested in Citizen Science. For those of you unfamiliar with this term, Citizen Science is the participation of the general public in data collection for scientific research. Citizen Science accomplishes many things: it allows for greater education outreach about a project, the way it engages the public gives them a sense of ownership of the project, and it allows for faster and wider-spread data collection. It was with this in mind that we created the “Places You Have Never Herped” (PYNH) event series. These Citizen Science events are more than just a friendly field herping expedition – they are invaluable to our organization by maximizing our data collection efforts for various research projects. It helps that they are a very good time! Anyone who knows our staff knows we love a little healthy competition. Pair that with looking for reptiles and amphibians in beautiful landscapes with like-minded and affable folks and you have the PYNH event series! Staged as a contest between teams, people sign up to attend these events, are divided into teams led by our staff members, and race out to find every and any herp they can, collecting valuable location and habitat data for these species! To date we have held three PYNH events. Let’s recap shall we? The very first PYNH event took place in September of 2012 in the Altamaha River Corridor close to the town of Jesup, Georgia. The Georgia Department of Natural Resources had recently acquired extensive tracts of land within this area which hold beautiful and vast bottomland cypress swamps, xeric sandridges, longleaf pine, hickories and oaks covered in Spanish moss, and scenic river access points. Much of this area has been designated as Wildlife Management Area (WMA), including Townsend WMA and Griffin Ridge WMA, and offers great terrestrial and aquatic reptile and amphibian diversity. Around 47 competitors, ages 12 to 60+ spent the day searching out reptiles and amphibians like pirates hunting jewels. This being the first event, we had to work out a few quirks, but in the end, team “Kevin’s Dream” led by Orianne staff member Kevin Stohlgren, found the most species. Notable finds included a beautiful Southern Hognose Snake found by a first time herper, Mr. Eli Thomas! One of the fastest-declining groups of animals, reptiles and amphibians, cannot be conserved without conserving their habitat. Being such, in 2012, The Orianne Society partnered with Warren-Wilson College to identify crucial habitat for reptiles and amphibians called Priority Amphibian and Reptile Conservation Areas (PARCAs) (think Important Bird Areas) in the states of Alabama, Georgia, Florida, North Carolina and South Carolina. Once the PARCAs were outlined, we needed to survey these areas on the ground to determine if they did indeed support high densities of herpetological diversity or rare species – and the participants of the 2nd PYNH events helped us! The 2nd PYNH event took place took place June 15th and 16th of 2013! Over forty participants, ranging in age from 8 to 60 showed up to the Tallulah Gorge area ready to get dirty and hunt for some herps. We had some seasoned herpers and some newcomers to the field, but everyone was eager see what they could find! The event started off by breaking up into three teams, led by team leaders and Orianne Society staff Steve Spear, Javan Bauder, and Kevin Stohlgren. Team Winners (Spear), Team Mediocre (Bauder), and Team Shady (Stohlgren) – participants pick their team names, not us, honestly – received safety instructions and set off to survey streams, wetlands, and uplands! At the end of the day, Team Winners, led by Dr. Spear, came away from the competition with the most species found. The group as a whole documented over 37 different reptile and amphibian species over two days, including a handsome young Timber Rattlesnake. The 3rd PYNH event took place in August of 2013 in North Carolina. Our focus – a remarkable PARCA located in the Coastal Plain in the southeastern region of the state. The Bladen Lakes PARCA is a place where a vast area of Bladen and Sampson counties encompass a number of large public lands and preserves recognized for their biodiversity. Good-condition examples of a wide variety of natural communities, all of which are excellent reptile and amphibian habitats, can be found—including Longleaf Pine sandhills, Carolina bays, blackwater creek swamps, pocosins and pond pine flatwoods. The 3rd PYNH event was a bit different from the previous events in the series. As you can imagine, North Carolina is quite hot in August. So what do herpers do when it is too hot outside during the day? They herp at night! This two night event started around 5 in the afternoon and ran until around 2 AM each night. Over 35 participants gathered together with one mission in mind – to survey multiple sites and to document as many species of reptiles and amphibians from the Bladen Lakes PARCA as possible. Per usual, we broke into three teams, Team Hercules (Stevenson), Team Blade Runner (Spear), and Team Shady (Stohlgren), with Team Shady coming out as the victors at the end of the weekend! Collectively, the group found over 48 species of reptiles and amphibians in two days, including a rare find, a Pinewoods Litter Snake and an enormous Cottonmouth! In the end, “who wins” doesn’t really matter. What does matter is that like-minded people, people who care about reptiles and amphibians, get together and enjoy a wonderful couple of days in a beautiful place doing something they love – looking for herps! Come join us – you will meet some new people, get to reconnect with old friends, and do your part for conserving herps. The data collected during this event is extremely valuable in determining whether the herpetological diversity within the area surveyed was high enough that it should be considered a priority for land conservation. 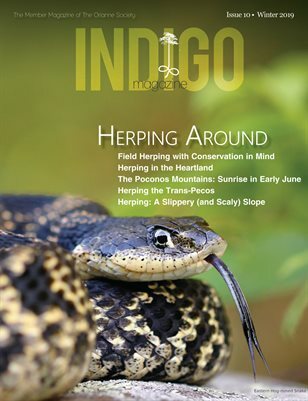 Test out your field herping skills. Meet people from all over that share your interests. Join us for the 4th PYNH!